A DISGRACED science teacher has been jailed again after he admitted sexually abusing a pupil during classes over a period of two years. Michael Wilde, from Old Hall, has been put behind bars for a third time for touching boys he taught at Wade Deacon High School in Widnes in the 1970s. The 70-year-old was handed a six-month jail sentence on Tuesday, April 2, for indecently assaulting a boy who was aged 12 and 13 when he was repeatedly abused in the middle part of the decade. Liverpool Crown Court heard that the defendant, a chemistry teacher who also filled in as a substitute during PE lessons, would attack his victim in class while answering the pupil’s questions. Wilde, of Drake Close, would approach the boy and stand near to him while responding to queries in lessons – placing his left arm on the victim’s shoulder and touching him sexually with his other arm. A statement from the victim that was read out to the court described how he still has nightmares about Wilde, a married man and dad-of-three, to this day. In these dreams, he attempts to run away from his former teacher while wearing his rugby kit – having been forced to give up the sport as Wilde was in charge of the school team. He also described seeing the defendant’s ‘leering smile’ while male colleagues were trying to help him and being ‘humiliated and powerless to stop’ his attacker as a boy. The pensioner has previously been convicted twice for sexually abusing five schoolboys at the school, receiving three years behind bars in total in 2015 and 2016. Wilde – who brought a packed bag with him to court and ‘deeply regrets his gross breach of trust’ – assaulted these pupils on dozens of occasions in the school gym, while they were getting changed before games and as he was administering first aid following a laboratory accident. He admitted four further counts of indecent assault during an earlier hearing at Warrington Magistrates Court last month. Sentencing at Liverpool Crown Court earlier this week, judge Louise Brandon said: “During lessons, you would touch your victim while purporting to answer questions from the pupil. “This happened again and again, and your behaviour towards him escalated. “It was only in his second year at the school that he bravely brought what you were doing to a stop, when he confronted you. “What you did affected his life in so many way – he struggles to trust male figures of authority, and sees your face leering at him when he speaks to them. “He has felt guilty as a result of what you did, but that if completely unjustified. 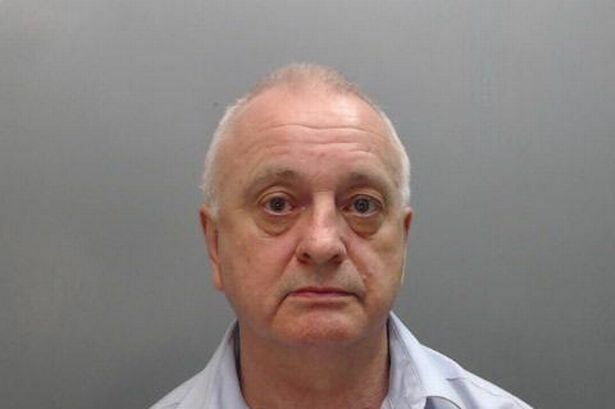 A FORMER teacher who indecently assaulted boys at a Widnes school during the 1970s has been jailed for a year. Michael Wilde, 67, of HMP Forest Bank, appeared at Chester Crown Court for sentencing on Friday, October 21. Recorder Patrick Thompson sentenced Wilde to 12 months behind bars for 10 offences of indecent assault on a boy under the age of 14. Wilde had already been sentenced to two years in prison last year after pleading guilty to five offences of indecent assault against two boys while working as a chemistry teacher at Wade Deacon Grammar School. Maria Masselis, prosecuting, told the court that there were three victims – who cannot be identified for legal reasons – as part of the second prosecution against Wilde, and they came forward as a result of his earlier conviction. Ms Masselis said that one charge was over an indecent act which took place at the school during a chemistry lesson. Six of the 10 offences were related to a second victim – who Ms Masselis said Wilde had abused on ‘about 40 occasions’ – and took place during cricket practice. Three further offences related to a third victim whom the prosecution said the defendant would use the opportunity to abuse for ‘anything between 20 seconds and one minute’. Ms Masselis said that the third victim did not feel that justice had been done by the initial prosecution. The prosecution read out extracts from a victim personal statement from the second complainant which said Wilde abused his position of trust. Jeremy Rawson, defending Wilde, said he had a medical condition and had a pacemaker installed in January 2010. He added that his client assisted in a teaching capacity with prisoners who have difficulty reading and writing. Reacting to what the prosecution said Wilde had told police in interview, the judge said: “I don’t accept for one minute that he was a young and naive teacher. He was 23 years of age. 23 is a grown man. Sentencing, the judge told Wilde that he had used his position to gain access to young boys and abuse them for his own sexual gratification. He said that Wilde had no regard to the potential effect the assaults may have had on the boys in later life and decribed the defendant’s behaviour as ‘shameful’. The judge added: “Parents trusted you with the most precious things in the world, which was their children. A FORMER chemistry teacher has been jailed after admitting sexually assaulted two pupils at a Widnes school in the 1970s. Michael Wilde, 66, from Drake Close, Warrington was sentenced to two years at Chester Crown Court on September 28 after pleading guilty to five counts of indecent assault of a boy under the age of 14 at an earlier hearing. Wilde had admitted assaulting the two boys while he was a teacher at a grammar school in Widnes between September 1972 and July 1974. The boys were aged 12 and 13 at the time. Police began an investigation after the two victims came forward independently of each other last year.